↑YC-982 is in the middle of this photo of USS Drum (SSN-677), right, on the building way at Mare Island, 10 May 1970. US Army Barge BG-6383 is to the far left. 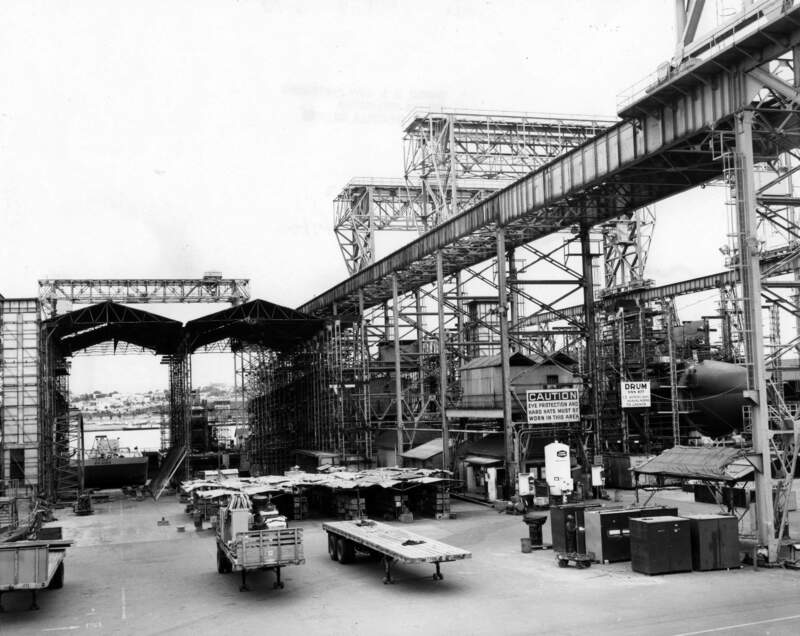 Mare Island Naval Shipyard photo. Image courtesy of NavSource.